We'll work hard to help you create the perfect space for your party or event. You may have lots of ideas to try - or maybe you're open to suggestions. Whether you'd prefer traditional banquet chairs and tables, or something more adventurous, we'll do our best to help. We'll do all the leg work - find the right suppliers and come back to you with options and prices, and we can deal with any transport and set up. We have some lovely Panton chairs and Indian rosewood tables. They look absolutely fantastic in the domes. 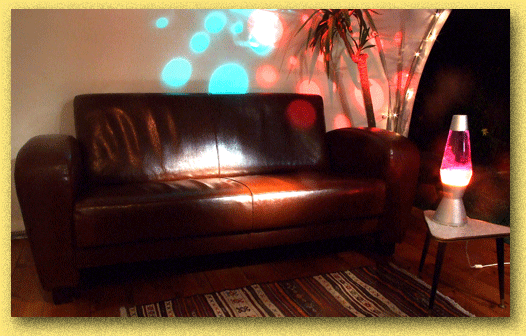 We also have some vintage/retro sofas, coffee tables, lamps, drapes, curtains and cushions. 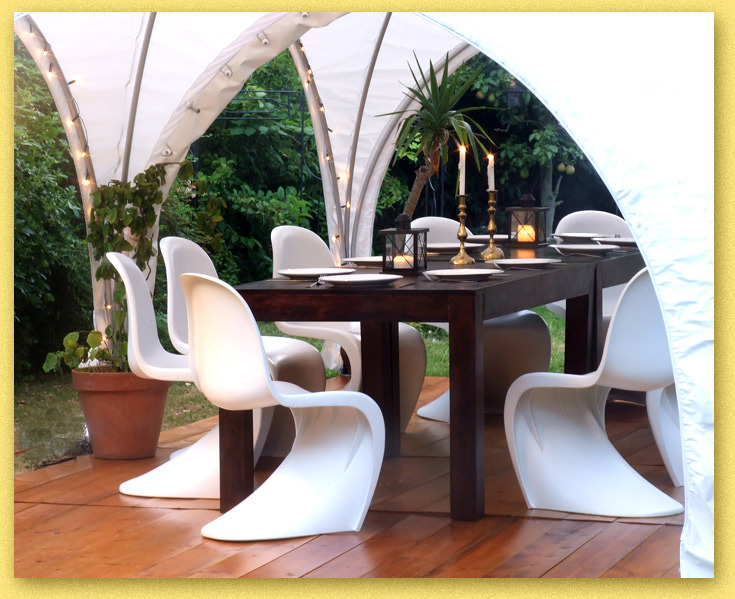 Perfect for creating a sumptuous chill out space. Get the lighting right and the effect can be breathtaking. We can advise on how to get the effect you are looking for. We can supply the following from our own stock. Par 64 bright lamps for larger events/shows Much brighter, good for shows, illuminating stands etc.